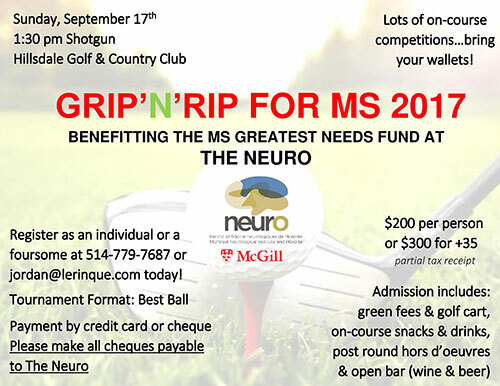 Jordan Topor and his team of volunteers look forward to seeing you on September 17th at the beautiful Hillside Golf and Country Club in Mirabel, Québec, for another fun-filled tournament benefiting the MS Greatest Needs Fund at The Neuro. This crucial fund allows our researchers and physicians to help people living with Multiple Sclerosis in so many ways – from filling special equipment needs, to recruiting the next generation of scientists and clinicians, to improving front-line patient care, to financing avant-garde research projects with the potential to revolutionize treatment options. Over the past three years, the tournament has raised nearly $175,000, and this year promises to be another great success! Be a part of the action and contact jordan@lerinque.com or call 514-779-7687 today! 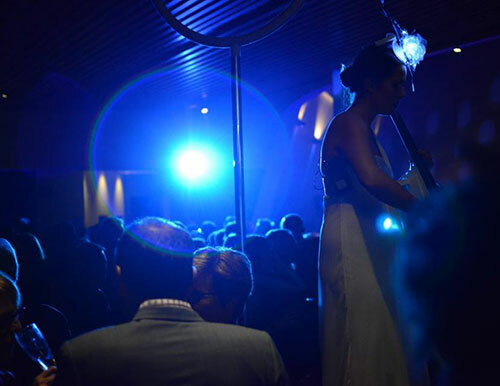 Through an educational, emotional and sensorial experience, A Brilliant Night raises much- needed funds for brain cancer research at The Neuro. Buy you tickets for this epic event, which will take place on Wednesday, October 18 at Le Salon Richmond. This chic cocktail dinatoire is the “don’t miss” philanthropic event of the year, and you can play a critical role in A Brilliant Night’s success by buying tickets or simply making a donation. When will we have thinking machines?